What are my porch flooring options? What are my options for my screen porch floor? There are several and this blog will detail the pros and cons of the different material choices you can select from. Pressure -treated wood decking is a cost effective and by far the most common choice for screen porches when your porch is elevated off grade. The product holds up better under a roof that it does when exposed to the elements. By putting a roof over a deck, it keeps the suns harmful rays away and there is very little maintenance required. Because the boards have small spaces between them it gives a release for water when you clean the porch. The negative to the product is some chose a solid floor, while others worry about splinters if they have little ones. Composite deck boards are certainly more expensive(roughly double when comparing just the cost of the deck boards installed). The positives are they are incredibly durable, they will NEVER need staining or painting, and due to the composition, they will NEVER splinter. The manufactures such as Trex, have done a great job in the aesthetics as well as they know appear to look much more like real wood. Adding tile to your screen porch is probably going to be the most expensive option. Why? It’s not the price of the tile. It’s the fact that the porch will need be structured with floor joists closer together requiring more to support the weight of the tile. In addition, it requires adding pressure-treated plywood, a mortar bed, the tile itself, and grout. 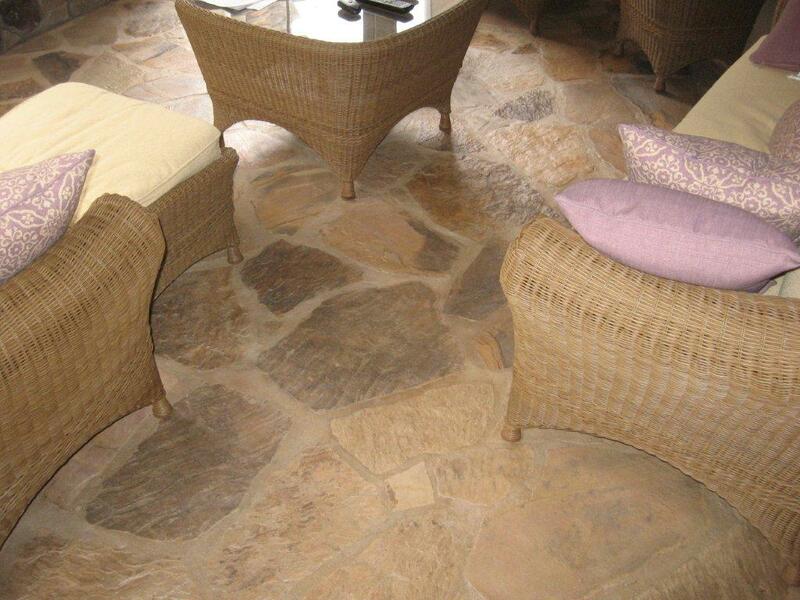 The positive side of adding tile or stone flooring is that it is a very upgraded appearance. In addition, it is easy to clean with a sponge mop and it totally encloses the floor.